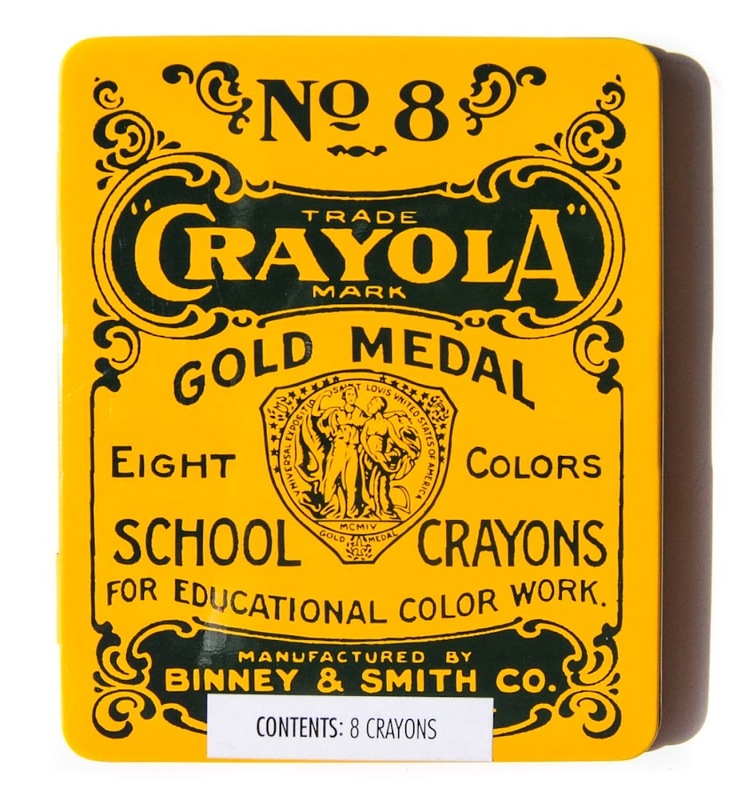 The No 8 Crayola Gold Medal School Crayons came out in 2000. It fits a box of 8 count crayons. I keep a box of crayons named by Crayola fans on Facebook in the box. The cover of the box is the same as the tin. This design is reminiscent of the original No 8 count box of crayons after Binney & Smith debuted the Crayola trademarked box and won the 1904 St. Louis World Fair in the An-Du-Septic dustless chalk catergory. The box is orange and has a coin in the middle that says, "UNIVERSAL EXPOSITION SAINT LOUIS UNITED STATES OF AMERICA." World Fairs started in 1851 and still go on today. I had not idea they still had them. They are now called EXPO's and are not held at regular intervals. At this time large structures would be built showcasing the technology of the Era. Before this time crayons were not really a big thing. They specified on the box that what crayons could be used for. 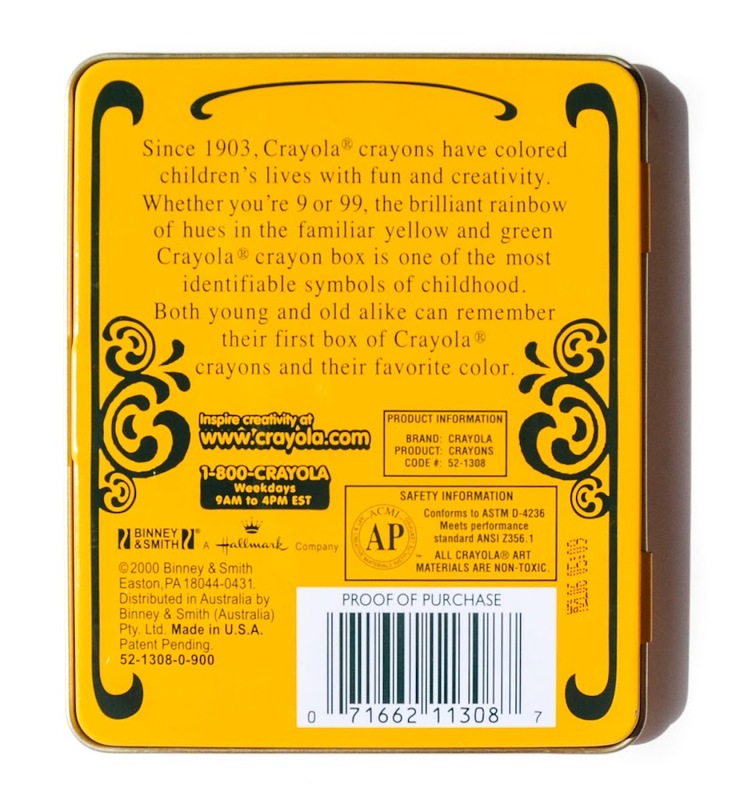 It says, "SCHOOL CRAYONS FOR EDUCATIONAL COLOR WORK MANUFACTURED BY BINNEY & SMITH CO." This tin is such a fun way to celebrate the early history of Crayola.